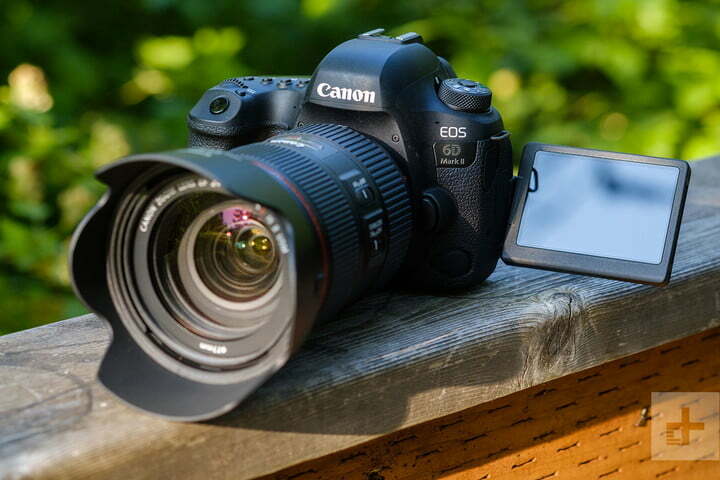 Mirrorless vs. DSLR: How do these competing camera systems stack up? 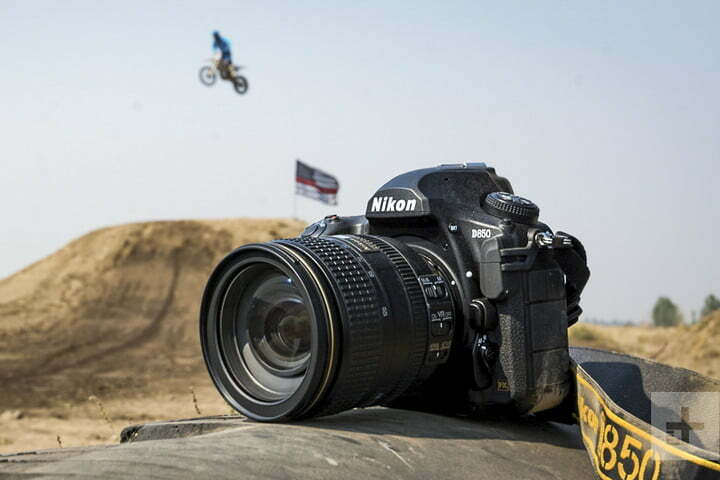 Interchangeable lens cameras sit at the top of the gear pyramid for serious photographers. Both mirrorless cameras and DSLRs boast the flexibility of different lenses and larger sensors compared to compact cameras and smartphones. DSLRs made an easy cross-over from film, just adding a D onto the 35mm film SLRs that many professionals favored for decades. Mirrorless cameras, however, have a much a shorter history. In its infancy, these smaller cameras that lacked mirrors were largely shunned by professionals hugging the grip of their trusty DSLRs. But mirrorless cameras have matured out of those early years. 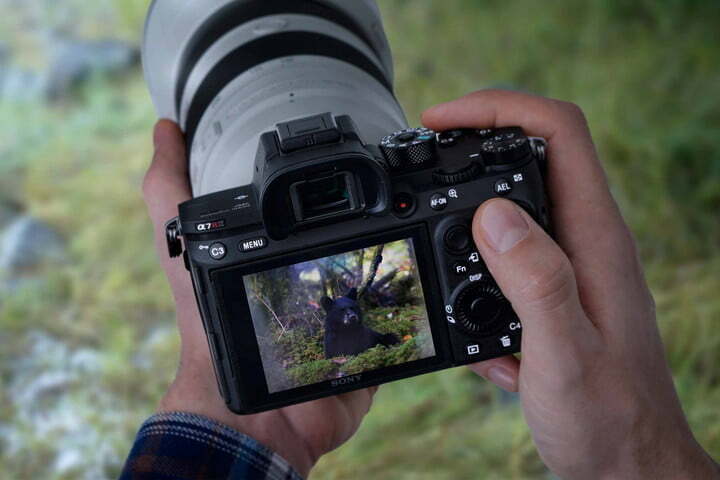 Some models can even snap circles around DSLRs with faster burst rates, denser autofocus systems, and better video modes — all in smaller, lighter packages. 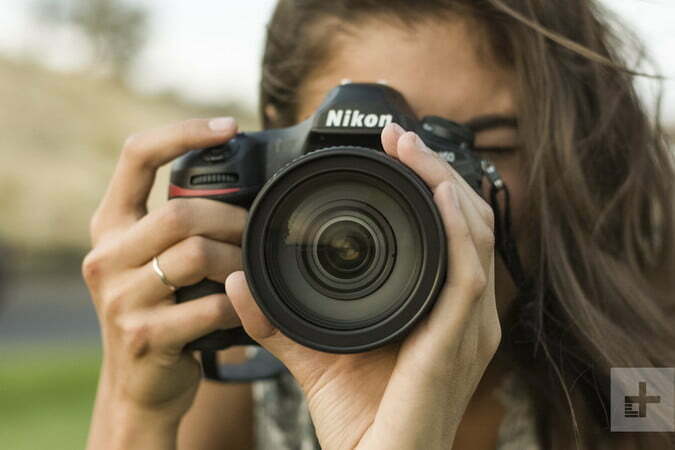 However, traditional DSLRs still boast an edge in some categories, offering longer battery life, a larger lens selection, and — of course — an optical through-the-lens viewfinder. Today, picking a side in the mirrorless vs. DSLR debate is largely a matter of taste, not performance, although your specific needs may sway you in one direction or the other. Here’s what you need to know to decide if a DSLR or mirrorless camera is right for you. Four different cameras, all with 50mm equivalent lenses. While the imaging sensor in a mirrorless camera and a DSLR can be of equal size, DSLR bodies are quite a bit larger and heavier thanks to the viewfinder and associated prism and mirror. Without the mirror and viewfinder, the body of the camera can shrink considerably. Slinging a mirrorless camera around your neck all day isn’t going to leave you quite as achy as a hauling a DSLR. However, this also depends on your lens. A full-frame 70-200mm f/2.8 lens will be just as big on a mirrorless camera as it is on a DSLR, so weight savings depends on everything that’s in your kit. But is smaller always better? Some photographers prefer the larger grips on DSLRs because they offer improved ergonomics. Smaller cameras can also feel oddly balanced when used with large lenses. So while mirrorless cameras may be better for travel, DSLRs can offer a better grip and a better balance with long lenses that may make them more comfortable in some situations. Mirrorless cameras, at first, didn’t have the same large sensors found in DSLRs. That was a big sticking point for many in the early days of mirrorless, since the biggest predictor of image quality is the sensor. But mirrorless cameras now offer a variety of sensors, right up to full-frame and even medium format. If you want a full frame or a crop sensor, you can find it in either a DSLR or a mirrorless camera. Not every brand offers every format, however, so make sure you do some thorough research — beyond sensor size, a brand’s lens collection is something else to consider. With similar options found in both categories, DSLRs and mirrorless cameras are tied for image quality. While there will be differences in image quality between different camera models and different lenses, one category doesn’t have an inherent edge over the other. Mirrorless cameras do have one option not found in DSLRs — at least, not anymore. That’s the Four Thirds sensor format, now found in Micro Four Thirds camera systems from Panasonic and Olympus. This sensor type is smaller than APS-C sensor, which is the smallest sensor currently available on DSLRs, but larger than what you’ll find in a point-and-shoot. Micro Four Thirds cameras can be more compact, although this is not true of every model — some can nearly fit in a pocket, whereas others are about the same size as a DSLR. MFT lenses, however, are often dramatically smaller and lighter than equivalent focal lengths for other systems. Due to the smaller sensor, image quality may not be as high — especially in low light — but it is generally more than good enough for many situations. DSLRs have to move the mirror up for every single photo, and while they can do this very quickly, there is a limit. Without a mirror to move, mirrorless cameras can offer faster continuous shooting speeds (although, not every model does). The Sony a9, for example, hits 20 fps, while the most expensive DSLRs on the market get a little over half that. Don’t just assume that mirrorless camera that you’re looking at is faster than a DSLR, however — many mirrorless cameras have a similar frame rate when compared to DSLRs in the same price range, and some only achieve such high frame rates by using electronic shutters (similar to how a video camera works) which can introduce distortion if you have any fast movement in the frame. Early mirrorless cameras had a hard time here due to their reliance on what’s called contrast detection autofocus. The type of autofocus system traditionally found on a DSLR, called phase detection, relied on a dedicated sensor, something that was only possible thanks to the DSLR’s mirror that could redirect light to it. However, as mirrorless technology advanced at a rapid pace, autofocus has improved in leaps and bounds. Many manufacturers now offer on-chip phase detection, so mirrorless cameras can perform the same type of autofocus that DSLRs do. Other brands have found creative ways to get more out of contrast detection. Panasonic’s Depth from Defocus technology, in which the camera analyzes the blur in a scene and matches it to a lens profile, tells the camera exactly how to adjust focus without having to “hunt” for it, as was typically the case with older contrast detection systems. Thanks to all of the research and development poured into mirrorless cameras, autofocus performance is no longer a drawback of these systems. 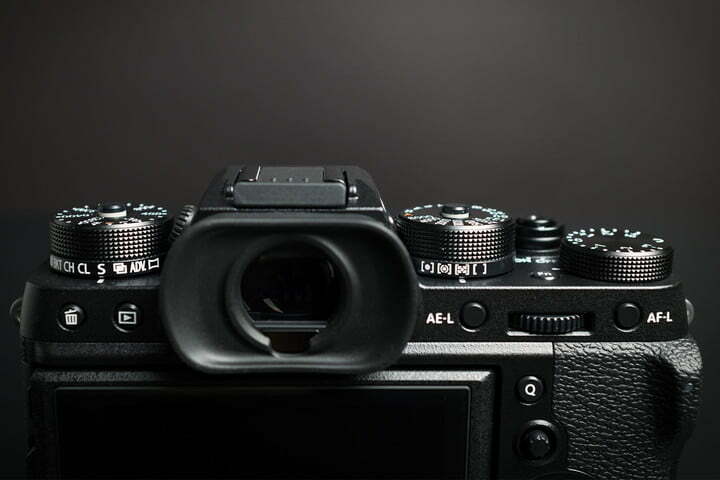 Many manufacturers now use a hybrid autofocus system that combines phase and contrast detection. That allows mirrorless cameras to keep pace with DSLRs. Again, that’s a generality that may not hold up when comparing different camera models, but for the most part, modern DSLRs and mirrorless cameras both have excellent autofocus systems. Without the mirror to bounce light from the lens up to your eye, mirrorless cameras can’t have optical viewfinders. They can, however, create a similar experience with an electronic viewfinder (EVF). EVFs are similar to the LCD screen at the back of the camera, only they’re smaller and optimized for placing right up to your eye, like with an optical viewfinder. Optical and electronic viewfinders may carry out a similar purpose, but there are several distinctions between the two. Optical viewfinders don’t drain a camera battery, they’re always “on” and you can always get a reliable composition from the optical viewfinder. EVFs don’t have that same always-on feature — some cameras require using a button to switch between the LCD screen and the viewfinder. Others have a built-in eye sensor that automatically switches to the electronic viewfinder when you put your eye close to the camera. EVFs have their perks though, and most of them are based on the fact that you’re seeing what the camera will capture — not just the framing, but also your exposure, color profile, white balance, etc. If you set the camera to black-and-white mode, for example, the viewfinder will be in black and white. You can also playback images in an EVF, helping you review what you’ve just shot on bright days when it may be hard to see the main LCD screen. Smaller bodies leave less room for a large battery. Add that to the features that require more juice, like electronic viewfinders or always-on LCD monitors, and mirrorless cameras tend to have shorter battery lives than DSLRs. Technology has helped narrow the gap, but many DSLRs will still have twice the battery life, or more, of a mirrorless camera. For long shoots, packing extra batteries can start to negate the smaller profile of the mirrorless camera, so this is something to keep in mind. All of that said, the average user should have no problem getting a full day out of a mirrorless camera. If you don’t shoot more than 300 photos in a day, you’re probably fine. There are perks to being the older sibling — DSLRs have a longer history, which means manufacturers have been making lenses for them for a longer period. 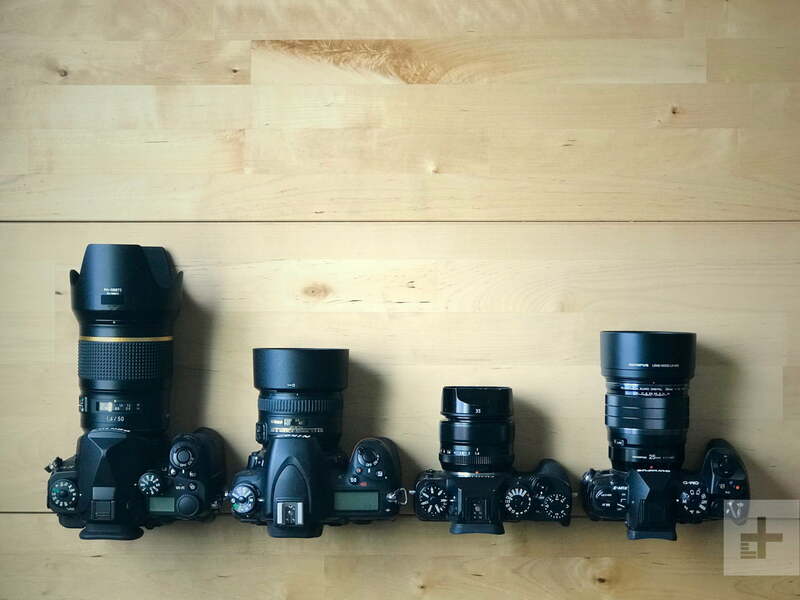 In general, DSLRs have a larger lens selection than mirrorless cameras. Mirrorless is growing up, however, and many mirrorless brands have made significant gains. There are some areas, like tilt-shift lenses and super telephoto lenses, where mirrorless systems still lag behind, but even this is changing. Again, before settling on a camera system, check first to see what types of lenses are available to make sure you’ll have access to the glass you’ll need. Once you invest in a system, it’s very difficult to switch. There are both mirrorless cameras and DSLRs at pretty much every price point between $500 and $5000. While there’s a good chance you can find both in your price range, the features for the price aren’t always identical. Just like advanced compact cameras tend to have a price point because of the big features in the small size, you can sometimes pay a premium for a smaller camera. The price difference is most noticeable in the entry-level models. A $500 DSLR tends to have more features than a $500 mirrorless camera. While it’s not always the case, entry-level DSLRs tend to have a lower price point or an included lens more often than entry-level mirrorless cameras — but this, too, is changing. Mirrorless vs. DSLR: So which one is best? Interchangeable lens cameras have larger sensors, more flexibility, and more features than fixed lens cameras. Mirrorless cameras are no longer the new kid on the block and have made serious progress since the category first launched. Each body style, however, still has perks and disadvantages. Mirrorless cameras are smaller and lighter, but have a shorter battery life and fewer available lenses. DSLRs have big batteries, big grips, optical viewfinders, and plenty of lenses, but they’re not as travel-friendly, may not shoot as rapidly, and don’t have the convenience of previewing your exposure through the viewfinder. With each body style having a list of perks, choosing between a DSLR and mirrorless camera becomes both personal preference and a matter of what you shoot. If you travel or really need a 20 fps burst speed for action, mirrorless may the best choice. If you want a battery that doesn’t tire out until you do, a larger grip, a specific niche lens, or just want the most camera you can get for $500, DSLRs may be the better option.